Concha Buika is a Spanish singer of Equatorial Guinean descent who has established a special place, akin to royalty, for herself in Latin jazz circles. That might all change, however, with the release of her new album Vivir Sin Miedo, out Oct. 16 on Warner Brothers Latin. Her previous release, La Noche Más Larga, won a Latin Grammy in 2013, but Vivir Sin Miedo--coproduced with Martin Terefe (Mary J. Blige, Jamie Cullum, Coldplay) and recorded in Miami, New York, London and Madrid--is stylistically a departure from the flamenco-tinged Latin jazz with which Buika established herself. The album leans more in a Caribbean direction, and vocally in a global pop direction. Most of the tunes on the album have reggae rhythms and a touch of dub production. Buika sings equally in English and Spanish, perhaps reflecting experiences of her new home, Miami. However, Buika has never really fit into strict genre classifications anyway, so these changes should come as no surprise to her fans. Regardless of what style she sings in, Buika has such a powerful voice that she is an exciting musical force all by herself. With these carefully crafted tunes displaying Caribbean, Afro-Latin, flamenco and dub influences, she might hit an even wider audience than she already has. The album opens with the title track: a tasty guitar lick, a slow reggae groove, and Buika singing an "Exodus"-themed empowerment chant that bears enough influence from Marley's classic to be called a tribute but also has enough original lyrics, melodies and textures to be an indisputably new and different song altogether. The mood changes and the tempo picks up with "Si Volveré," a rumba flamenca cajon-driven groove with rhythmic bass lines and touches of soca/reggaeton rhythms and Al-Andalus North African vocal phrasing. 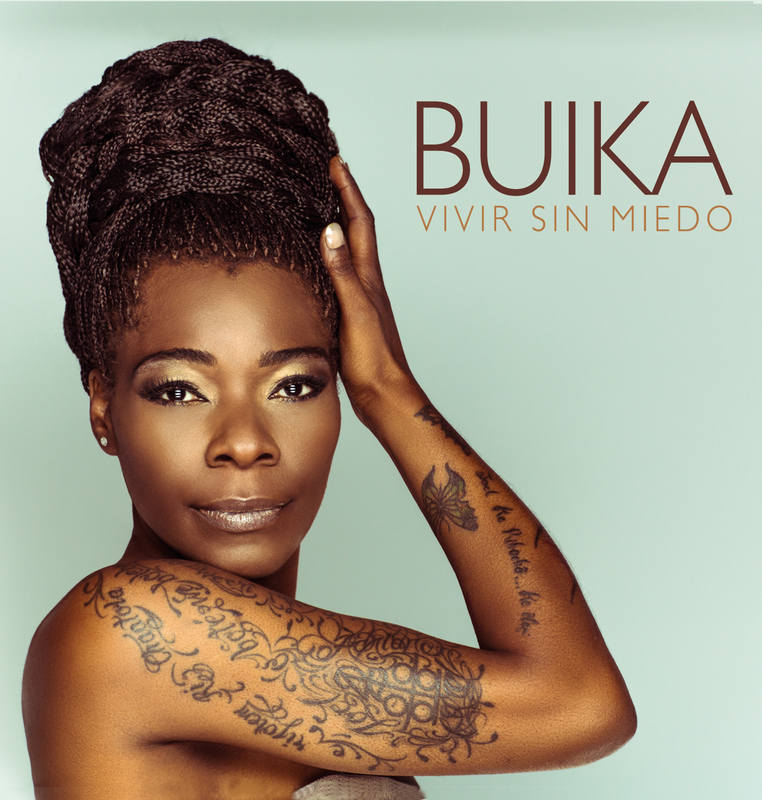 Buika's powerful Spanish vocals soar over the chorus "Que dificil es la cosa de querer" (How difficult it is to love). There's some drum 'n' bass production added to dub reggae on "Cidade Do Amor," a sunny pop tune. Buika sings poetically, I'd rather learn from butterflies/Fly up and down to go astray/They call them crazy but they know/Flowers are waiting for a kiss/A sign of you waiting for me/This big city is a jungle of love. Even a track like "Waves," an intimate entwined duet with flamenco singer Potito, has dub production and a reggae one-drop, even while the beat is played on cajon with light keyboard and guitar textures. The Caribbean flavors are perhaps most pronounced on "Good Men," a minor-key groove with a dancehall beat. Coupled with Buika's cutting vocals condemning duplicitous wayward men, this track is actually more reminiscent of indie-pop innovator tUnE-yArDs (Merrill Garbus) than classic Jamaican dancehall. "Yo Iré," flips between a deep reggae groove with prominent horns and a double-time Afrobeat rhythm driven by guitar and percussion. Another highlight is the burner, "The Key (Misery)," which builds on a montuno-esque keyboard vamp into a soaring jazz-rock climax under Buika's flamenco-tinged inspirations. She reaches new heights of vocal passion and aggression on this track. Despite these successful stylistic experiments, other tracks on Vivir Sin Miedo seem more geared towards a smooth pop sound, including the acoustic closer, "Sister," and more prominently, the lead single "Carry Your Own Weight," co-written with and heavily featuring elevator-pop star Jason Mraz. Mraz's silky voice and clichéd lyrics (You can run if you want to/Disappear on an airplane/But you can't hide from yourself/ You gotta carry your own weight) sound completely out of place next to Buika's multi-textured bilingual delivery. The title of Buika's new album translates as "To Live Without Fear." In a recent Spanish-language interview, she said, "We are taught to live in fear, and we do it very well." Although I cannot say how she lives, I believe that Buika creates and sings without fear. Whether she's delivering the slow pop-ballad, "Sister," or blasting through the energetic rock ending of "The Key (Misery)," Buika gives all her emotion, wit and personal wisdom. She always sings with an overwhelming passion that is truly captivating. We look forward to catching her live on one of her spring 2016 U.S. tour dates. We suggest you do the same.